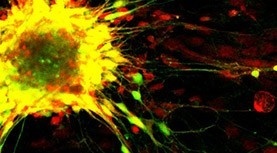 A top-of-the-line multi-photon microscope and other new scientific instruments allow researchers to explore new frontiers in nervous system regeneration. Lab members work closely together in pursuit of understanding the neural circuits that enable us to control and coordinate our movements. Undergraduate students with an interest in neuroscience learn an array of techniques while contributing to groundbreaking discoveries in the Motor Control Lab. Lab members are mapping the role of interneurons and neurons in the spinal cord to reveal the central control mechanisms that generate the rhythmic pattern of walking. Trainees and researchers in the lab rely on top-quality support from laboratory staff, who excel in genotyping, immunohistochemistry and other fundamental procedures. The Motor Control Lab is located in the Life Sciences Research Institute, a bright and spacious new building featuring the latest in green materials and ultra-efficient lighting, heating, plumbing and ventilation systems. Researchers in the Motor Control Lab are unravelling the mysteries of human movement. They’re using sophisticated techniques to explore the structure and function of the complex neural circuits in the brain and spinal cord that initiate and control movement. Dr. Rob Brownstone and postdoctoral fellow Dr. Tuan Bui have identified the spinal cord circuit that controls the hand’s ability to grasp. Motor Control Lab principal investigator Dr. Rob Brownstone -- a neuroscientist and neurosurgeon at Dalhousie University in Halifax, NS -- has been awarded a $1.4 million Tier 1 Canada Research Chair in Spinal Cord Circuits. 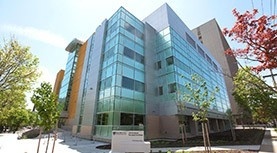 The Motor Control Lab is located in the Life Sciences Research Institute, a bright and spacious new building featuring well-equipped labs, state-of-the-art core research facilities, and the latest in green materials and ultra-efficient lighting, heating and ventilation systems.